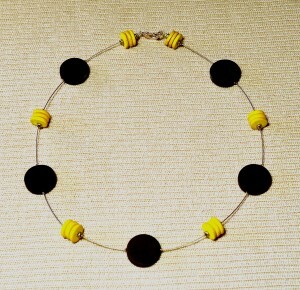 Summer and sun! 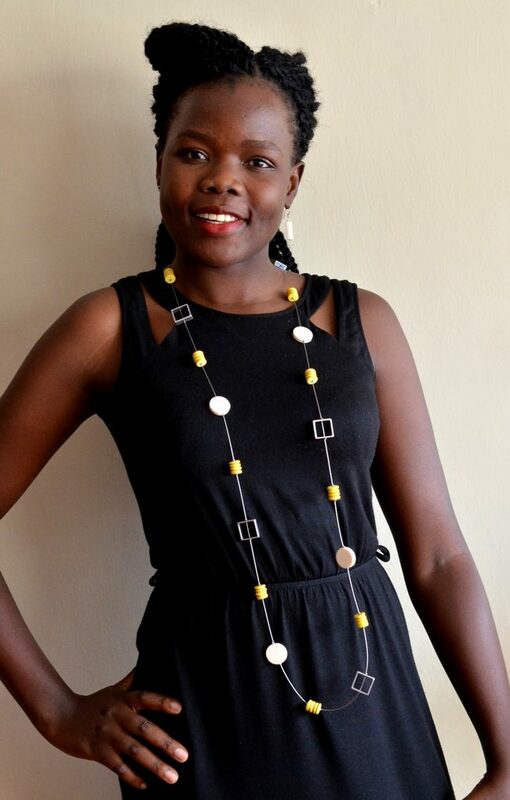 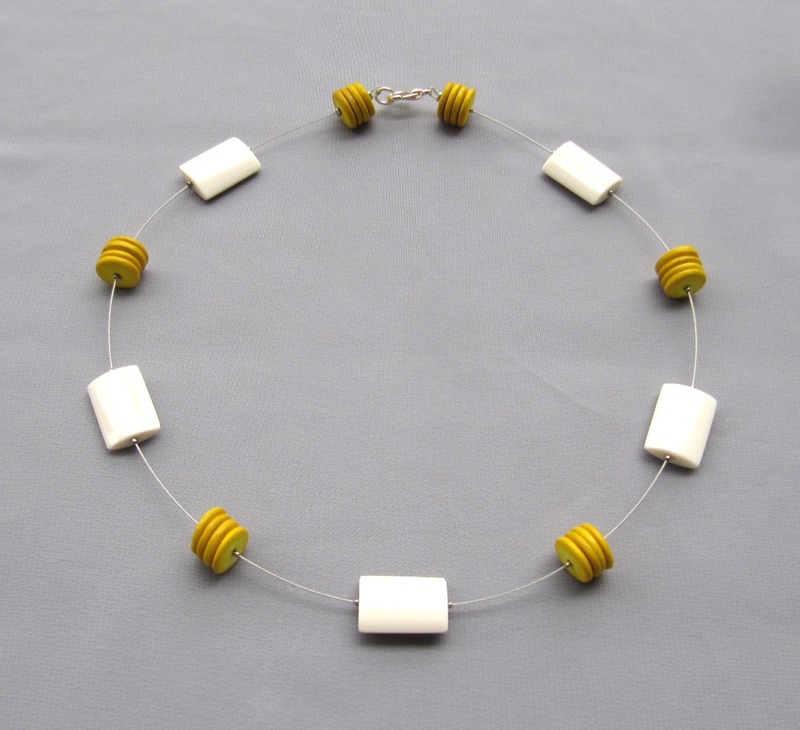 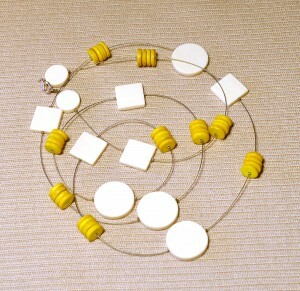 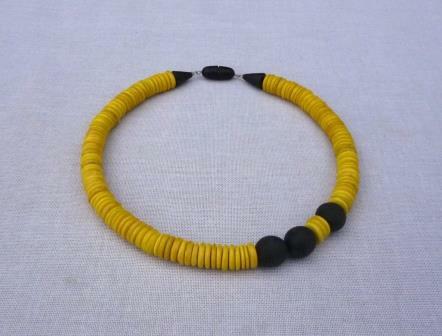 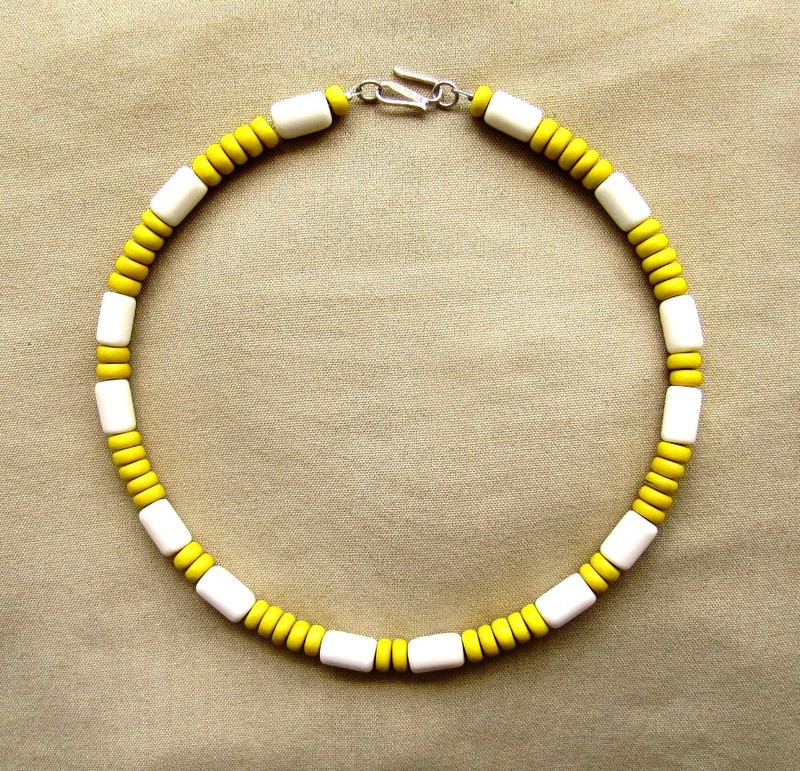 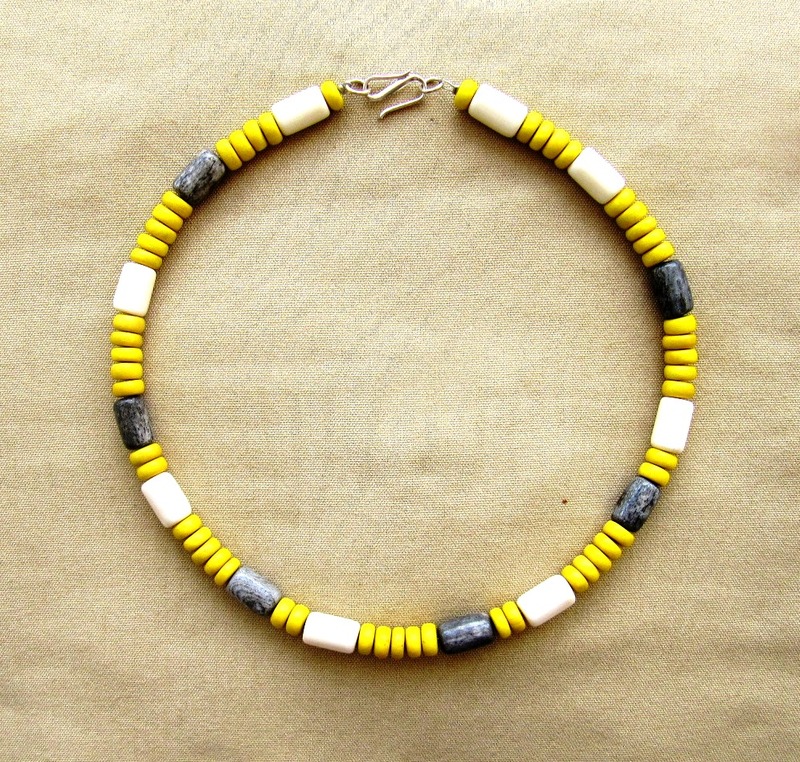 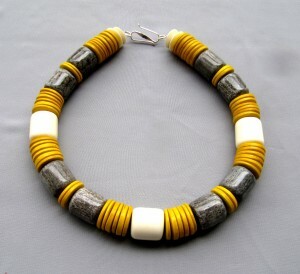 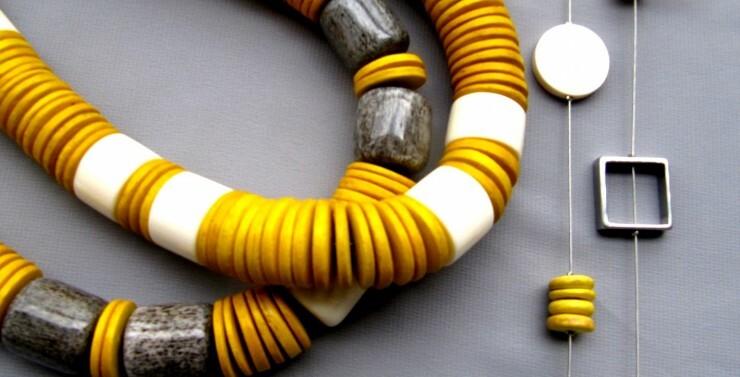 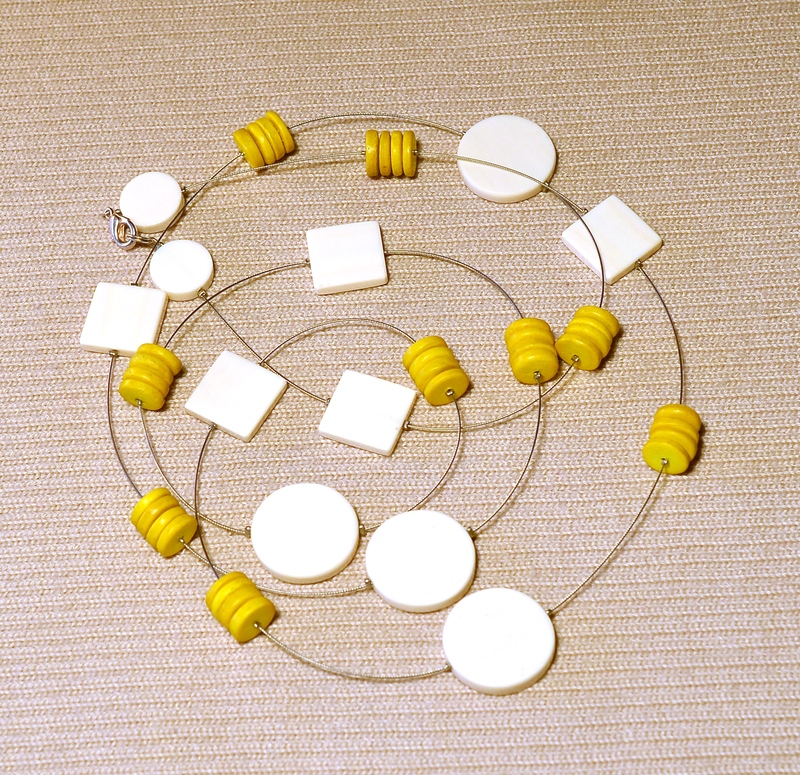 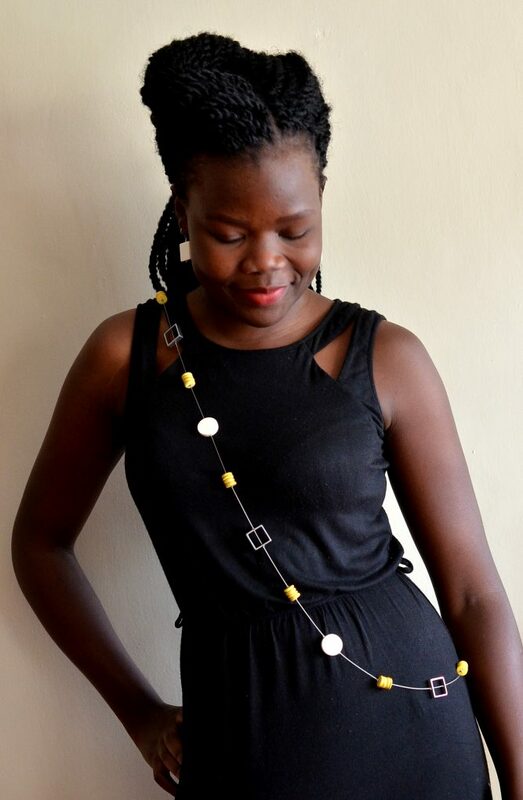 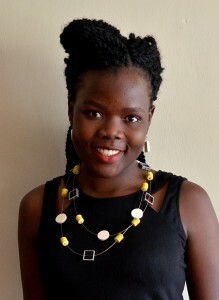 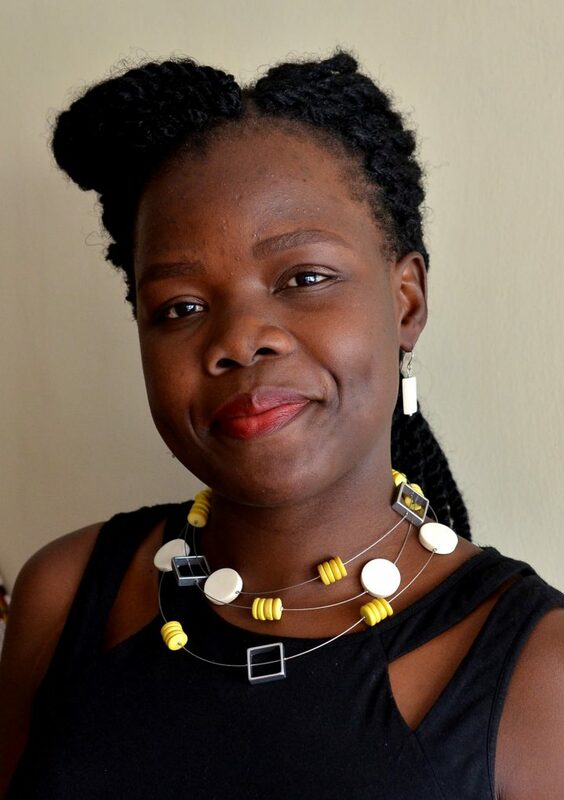 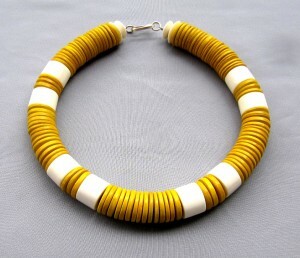 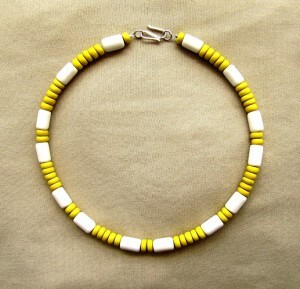 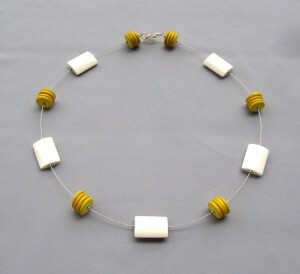 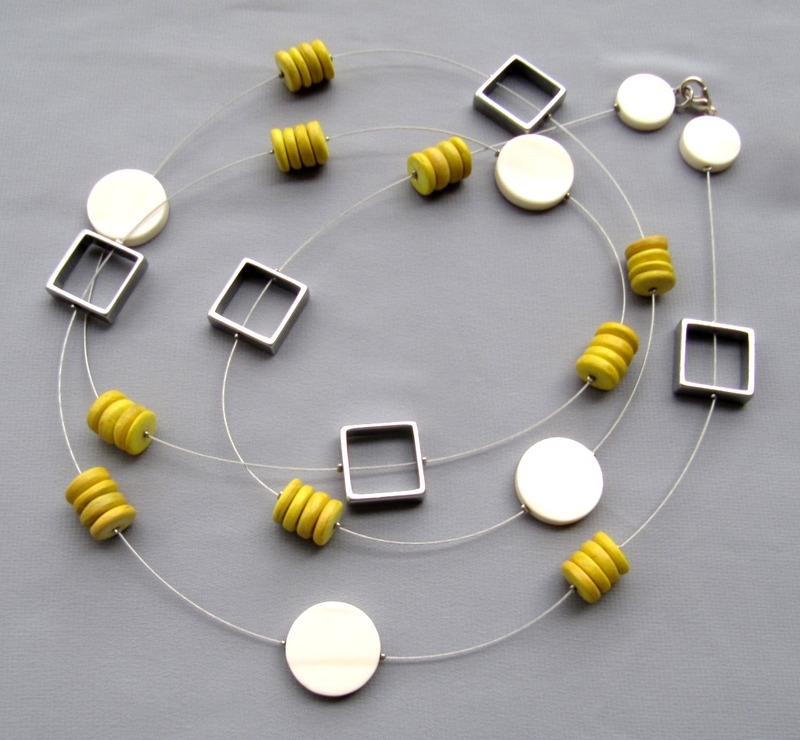 These necklaces are soft and heartwarming, a delightful combination of white and grey bone with yellow wooden discs. 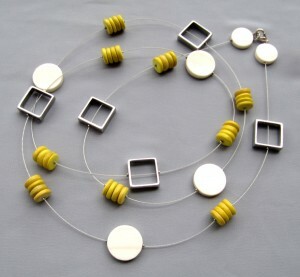 Playfully arranged on stainless steel-wire, floating and light, they will decorate any summer dress.